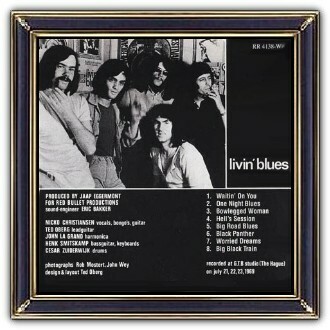 Livin'Blues were a Dutch blues/rock band and was formed in the Hague around 1967. The early line-up included Bjorn Toll (vocals), John Lagrand (harmonica), Ted Oberg (guitar), Ruud Fransen (bass) and Niek Dijkhuys (drums) but although the name remained wholesale changes soon took place. 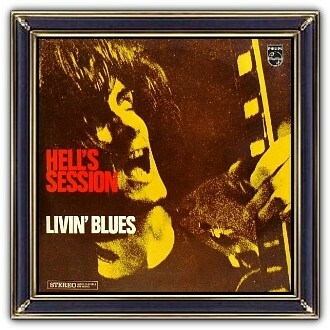 Although best known in the Netherlands, Livin’ Blues also gained a following elsewhere in Europe, especially in Poland. At the start of the 80s, the band included Oberg, Christiansen, Evert Willemstein (bass) and Boris Wassenbergh (drums). 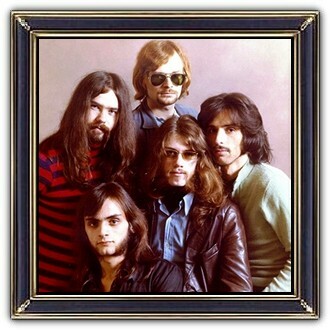 The band recorded from 1968, cutting a few singles with its first album Hell's Session coming in 1969. The band appears to have drifted from the limelight after the early 80s but interest in its recorded work remained high into the new millennium.